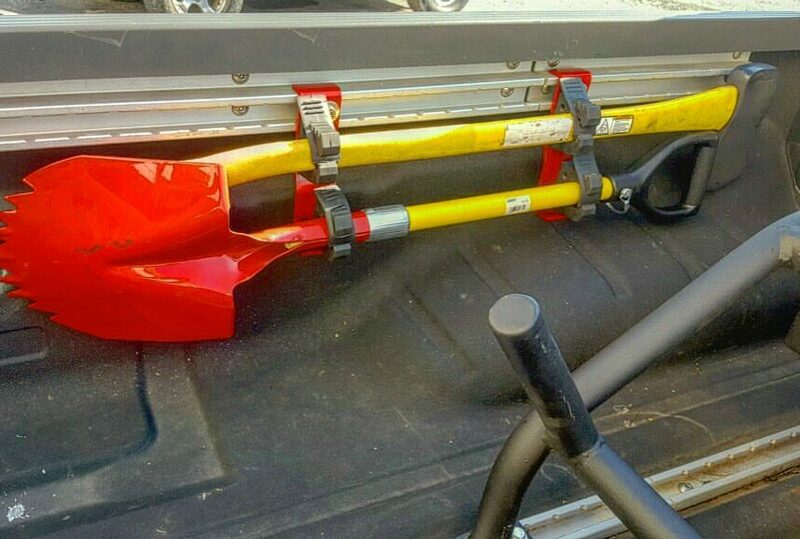 Specifically designed for your Nissan Frontier and Titan utilirack system these Axe/Shovel mounts mounts work amazingly well. The bracket mounts bolt directly to your stock Nissan utilirack system and the Fist grips bolt to the brackets. simple hand tools allow for quick and easy DIY install. Our brakes mount bolts right in the rail and leaves they rest of your utilirack system open for use. Mounts come Black or Red Powdercoated. Fist Grips and mounting hardware included. These products are proudly made in the USA by skilled craftsman.